Thats all. Game finished - Monaco 0, Reims 0. Second Half ended - Monaco 0, Reims 0. Corner - Monaco. Conceded by Suk Hyun-Jun. Shot blocked. Jemerson - Monaco - shot with right foot from the centre of the box is blocked. Assist - Carlos Vinicius with a head. Corner - Monaco. Conceded by Yunis Abdelhamid. Corner - Monaco. Conceded by Xavier Chavalerin. New attacking attempt. Gelson Martins - Monaco - shot with left foot from the right side of the box is saved in the left corner. Assist - Djibril Sidibe. New attacking attempt. Jean Eudes Aholou - Monaco - shot with left foot from outside the box is saved by goalkeeper in the centre of the goal. Djibril Sidibe - Monaco - receive yellow card for a foul. Xavier Chavalerin - Reims - won a free kick in defence. Abdul Rahman Baba - Reims - won a free kick in defence. Corner - Monaco. Conceded by Thomas Foket. Shot blocked. Jemerson - Monaco - shot with the head from the left side of the box is blocked. Assist - Rony Lopes with a cross. Corner - Monaco. Conceded by Abdul Rahman Baba. Substitution - Reims. Moussa Doumbia for Tristan Dingome. Substitution - Monaco. Carlos Vinicius for Stevan Jovetic - injury. 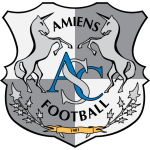 Jacques-Alaixys Romao - Reims - won a free kick in defence. Radamel Falcao - Monaco - won a free kick in attack. Missed chance. Rony Lopes - Monaco - shot with left foot from the centre of the box is high and wide to the right. New attacking attempt. Rony Lopes - Monaco - shot with left foot from outside the box is saved by goalkeeper in the centre of the goal. Missed chance. Stevan Jovetic - Monaco - shot with right foot from outside the box is high and wide to the right. Assist - Fode Ballo-Toure. Adrien Silva - Monaco - won a free kick in attack. Kamil Glik - Monaco - hits the bar with a shot with the head from the centre of the box. Assist - Rony Lopes with a cross after corner. Corner - Monaco. Conceded by Arbër Zeneli. Jean Eudes Aholou - Monaco - won a free kick in defence. Shot blocked. Stevan Jovetic - Monaco - shot with right foot from outside the box is blocked. Assist - Rony Lopes. Substitution - Reims. Arbër Zeneli for Remi Oudin. Shot blocked. Stevan Jovetic - Monaco - shot with right foot from the centre of the box is blocked. Assist - Radamel Falcao. Shot blocked. Radamel Falcao - Monaco - shot with the head from the centre of the box is blocked. Assist - Fode Ballo-Toure with a cross. Missed chance. Kamil Glik - Monaco - shot with the head from the centre of the box missed. Assist - Rony Lopes with a cross after corner. Corner - Monaco. Conceded by Jacques-Alaixys Romao. Missed chance. Rony Lopes - Monaco - shot with left foot from outside the box goes high. Assist - Fode Ballo-Toure. Substitution - Reims. Suk Hyun-Jun for Boulaye Dia. Substitution - Monaco. Radamel Falcao for Aleksandr Golovin. Missed chance. Rony Lopes - Monaco - shot with left foot from outside the box is close, but missed. Assist - Jemerson. Danijel Subasic - Monaco - receive yellow card. Djibril Sidibe - Monaco - won a free kick in defence. Boulaye Dia - Reims - won a free kick on the right wing. Corner - Monaco. Conceded by Remi Oudin. Missed chance. 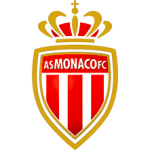 Aleksandr Golovin - Monaco - shot with the head from the centre of the box missed. Assist - Fode Ballo-Toure with a cross. Fode Ballo-Toure - Monaco - won a free kick in defence. Gelson Martins - Monaco - won a free kick on the right wing. Offside - Reims. Xavier Chavalerin with a pass, however Mathieu Cafaro is in offside. 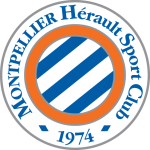 Delay in match Jean Eudes Aholou - Monaco - - injury. Missed chance. Jean Eudes Aholou - Monaco - shot with the head from the centre of the box is close, but missed. Assist - Rony Lopes with a cross after corner. Rony Lopes - Monaco - won a free kick on the left wing. Second Half starts Monaco 0, Reims 0. First Half ended - Monaco 0, Reims 0. Gelson Martins - Monaco - won a free kick in attack. Missed chance. Stevan Jovetic - Monaco - shot with right foot from outside the box goes high. Assist - Gelson Martins following a fast break. Shot blocked. Adrien Silva - Monaco - shot with right foot from outside the box is blocked. Missed chance. Jean Eudes Aholou - Monaco - shot with the head from the centre of the box goes high. Assist - Rony Lopes with a cross after corner. Corner - Monaco. Conceded by Edouard Mendy. New attacking attempt. Rony Lopes - Monaco - shot with right foot from the right side of the box is saved in the right corner. Assist - Stevan Jovetic. Shot blocked. Jacques-Alaixys Romao - Reims - shot with right foot inside of six yard box - left side is blocked. Corner - Reims. Conceded by Danijel Subasic. New attacking attempt. Mathieu Cafaro - Reims - shot with right foot from the right side of the box is saved by goalkeeper in the centre of the goal. Assist - Jacques-Alaixys Romao. Missed chance. Remi Oudin - Reims - shot with left foot from the centre of the box is close, but missed. Missed chance. Kamil Glik - Monaco - shot with the head from the centre of the box is high and wide to the left. Assist - Rony Lopes with a cross after corner. Shot blocked. Stevan Jovetic - Monaco - shot with right foot from the centre of the box is blocked. Corner - Reims. Conceded by Jemerson. Shot blocked. Tristan Dingome - Reims - shot with left foot from the left side of the box is blocked. Corner - Reims. Conceded by Kamil Glik. Missed chance. Kamil Glik - Monaco - shot with the head from the centre of the box is very close to the goal. Assist - Rony Lopes with a cross after corner. New attacking attempt. Stevan Jovetic - Monaco - shot with left foot from outside the box is saved in the top centre of the goal. Assist - Rony Lopes. Shot blocked. Remi Oudin - Reims - shot with right foot from outside the box is blocked. Offside - Monaco. Stevan Jovetic with a pass, however Fode Ballo-Toure is in offside. Substitution - Monaco. Jean Eudes Aholou for Cesc Fàbregas - injury. Delay in match Cesc Fàbregas - Monaco - - injury. New attacking attempt. Mathieu Cafaro - Reims - shot with left foot from the centre of the box is saved in the top left corner. Assist - Xavier Chavalerin. Missed chance. Xavier Chavalerin - Reims - shot with left foot from the left side of the box missed following a fast break. Shot blocked. Mathieu Cafaro - Reims - shot with right foot from the right side of the box is blocked. Assist - Remi Oudin. Shot blocked. Stevan Jovetic - Monaco - shot with right foot from outside the box is blocked. New attacking attempt. Rony Lopes - Monaco - shot with left foot from outside the box is saved in the top centre of the goal. Assist - Djibril Sidibe. New attacking attempt. Remi Oudin - Reims - shot with left foot from outside the box is saved in the right corner. Assist - Boulaye Dia. Missed chance. Mathieu Cafaro - Reims - shot with right foot from outside the box is high and wide to the left from a free kick. Boulaye Dia - Reims - won a free kick in attack. Get real-time football commentaries and full coverage for the Ligue 1 match Monaco vs. Reims, powered by Scorenga.co.uk. This page is dedicated to one of the most exciting Ligue 1 clashes. Here you will find a summary of the game, standings and photos.